It is horrifying to learn that children get arthritis. Polyarticular Juvenile Idiopathic Arthritis (aka polyarthritis) is one form of arthritis that begins in people under 16 years of age. Poly meaning many indicates that five or more joints are affected. The joints affected by arthritis due to an overactive immune system are usually synovial joints, which include fingers and thumbs, wrists, elbows, shoulders, hips, knees, ankles, and toes. A fluid-filled synovial sac encapsulates the area where bones meet. This fluid lubricates the joint, aiding smooth and easy movement. 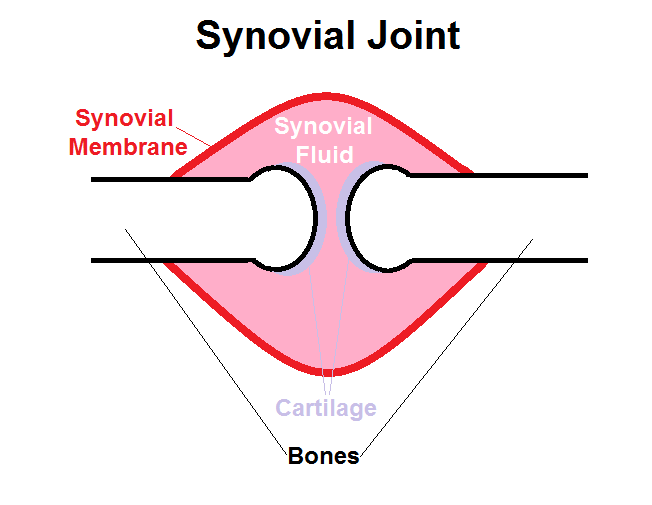 In polyarthritis, the synovial membrane thickens and swells, and there is an increase in the amount of synovial fluid. It hurts. Painful, swollen joints are a key characteristic of this disease. The joints might feel warm, and children might try to guard the joints to reduce their pain, leading to a limited range of motion. Children might feel sick and achy, as if they have the flu, and often experience a loss of appetite. Fatigue is common. JIA can cause people to be especially stiff and sore first thing in the morning or after sitting still for a period of time. This can be puzzling to parents (and doctors) trying to document a child’s symptoms. Why is the child sometimes okay, and other times barely able to move? When the child gets up and starts moving around, the excess synovial fluid can be absorbed by the body, which leads to a decrease in swelling and pain. Additionally, symptoms tend to come and go, further confounding attempts at diagnosis. Systemic diseases affect the entire body. Polyarticular JIA is not limited to joints; it is systemic. Unfortunately, eyes, ears, heart, lungs, the digestive tract, and other body systems can be affected. This disease can lead to destruction of cartilage and bone at the joints, as well as deformity and permanent disability. It is extremely important that polyarthritis be diagnosed early and treated aggressively. The doctor should take a complete medical history to determine not only the fact that joints are painful and swollen, but why they are that way. JIA is not the only cause of joint pain. If the disease qualifies as polyarticular JIA, and the RF blood test is positive, then the diagnosis is RF+ polyarthritis. This disease – less than 5% of all JIA diagnoses – is sometimes considered young-onset rheumatoid arthritis. It is most likely to be seen in adolescent girls. If the disease qualifies as polyarticular JIA, and the RF blood test is negative, then the diagnosis is RF- polyarthritis. About 15-20% of JIA cases are this type. It is most likely to be diagnosed in females during early childhood and has a good prognosis. Like all idiopathic diseases, the cause of polyarthritis is unknown. This disease is not hereditary, although there can sometimes be a genetic component. More research is needed in this area. Polyarthritis, like all forms of JIA, is not contagious. A professionally developed stretching and exercise plan is important for the purpose of relieving pain, protecting joints, improving joint function, strengthening muscles to allow smooth movement of joints, and keeping heart, lungs, and bones strong. A physical therapist can help design a good exercise routine, and will usually focus on the lower extremities and large joints. An occupational therapist will contribute to the exercise routine, too, focusing on the upper extremities and small joints/fine-motor skills. Non-Steroidal Anti-Inflammatory Drugs such as prescription-strength ibuprofen, meloxicam, or dicofenac can be helpful. NSAIDs must be taken religiously to be effective, and must be taken with food to protect the stomach. Disease Modifying Anti-Rheumatic Drugs will be prescribed, too. There are many different DMARDs, and there is no way of knowing which patients will respond best to which medicines. Sometimes it takes trail-and-error to find the most effective treatment. If inexpensive DMARDs are not effective enough, another class of DMARDs, called biologics or Biologic Response Modifiers can be prescribed. Dietary modification might be needed to include all vitamins. Rheumatologists will sometimes suggest that families consult with a dietician. This is a chronic condition, meaning that the goal of treatment is to minimize symptoms and slow possible disease progression. There is not yet a cure.